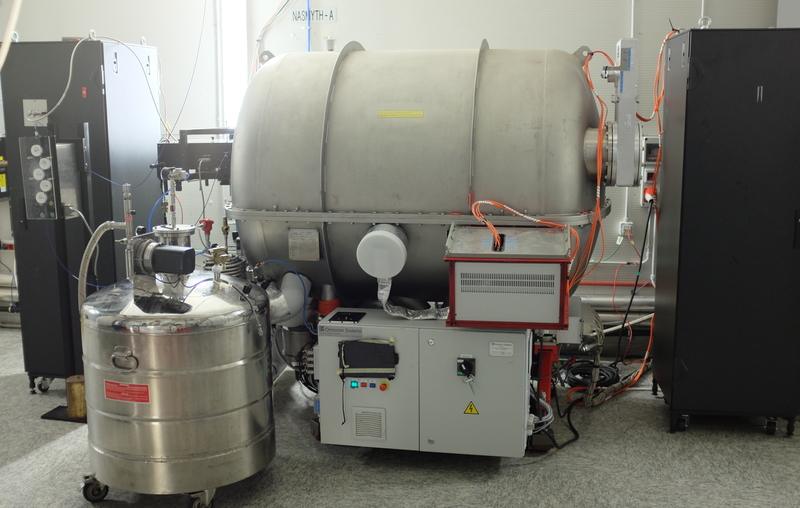 GIANO is a near IR high resolution spectrograph mounted at the Nasmyth A focus of the TNG in July 2012. In October 2013 the Commissioning has been completed and in September 2014 the Science Verification has been successfully carried out. The instrument provides cross dispersed echelle spectroscopy at a resolution of 50,000 over the 0.95-2.45 micron spectral range in a single exposure. It is fiber-fed with two fibers of 1 arcsec angular diameter at a fixed angular distance of 3 arcsec on sky. GIANO has only one observing mode (R~50,000) and it can acquire spectra either of astrophysical objects and sky simultaneously, or of calibration lamps (halogen for flat-field and U-Ne for wavelength calibration) and dark frames. Figure 1. Picture of Giano dewar in the TNG Nasmyth A. First estimates of the overall GIANO performance as measured during the Commissioning and Science Verification runs. * Fibers suffers of modal noise, whose amplitude increases with increasing wavelength. The maximum signal-to-noise achievable in the K-band is about 20 (without fiber-agitator) and 50 (with fiber-agitator). The maximum signal-to-noise is slightly higher at shorter wavelengths. Recommended on-source integration times to reach S/N~50 per spectral pixel (about modal noise limited) for stars of different magnitudes, seeing < 1, are listed in Table 3. For any comments please contact Francesca Ghinassi.